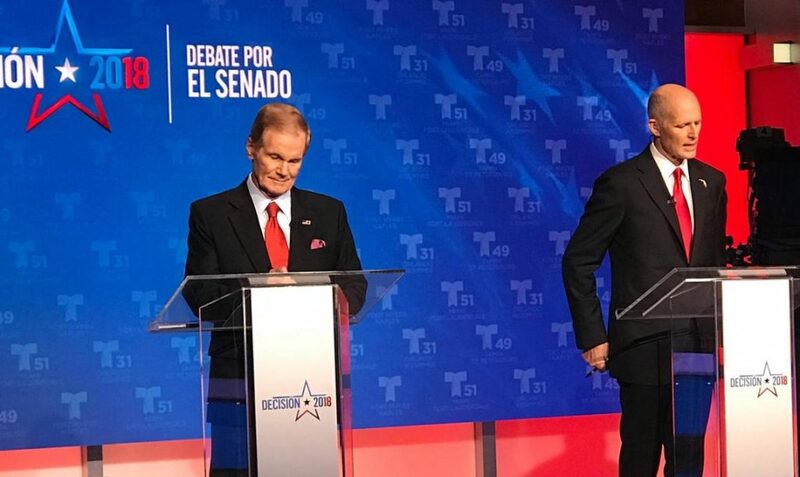 In true Florida fashion, there was a roughly 50/50 turnout between both the Senate and Governor race, with the Democratic candidates only a few points behind. The turnout was extremely close, so close in fact that it reached the threshold for an automatic recount in both races. The majority of rural Florida is Trump Country and due to his endorsement to the Republican gubernatorial candidate, many Trump supporters were swayed to vote for DeSantis. Despite the President’s ringing endorsement, DeSantis’ lead was by a very small margin. In regards to the Senate election, Rick Scott (R) and incumbent Bill Nelson (D), who has been the Senator since 2000, had a similar outcome; a very tight race that resulted in a recount. For Democrats, it’s very hard to win statewide, specifically in Florida, because they would have to remain almost entirely centrist in order to appeal to the strongly conservative majority of Florida. On the local level, our county, Miami-Dade, has consistently voted Democratic. In our district (26), Debbie Mucarsel-Powell (D) beat out incumbent Carlos Curbelo (R) for his seat in the House of Representatives; the District 27 seat was a close one as well, with Mucarsel-Powell leading with only about 3,000 votes. In Coral Gables (District 27), despite polls predicting her loss, Donna Shalala (D) won a seat in Congress against first-time candidate Maria Elvira Salazar. On the ballot, there were about 4 pages of amendments that were voted on, some of the most notable were: the approval of the soccer stadium David Beckham hopes to build in Downtown and the nullifying of the ban on ex-felon voters. Lifting the ban on felons means lifting a Jim Crow era amendment whose original purpose was to disenfranchise Black suffrage. This action results in a surge of new voters that could have a pivotal role in determining Florida’s vote in the 2020 presidential election. This 2018 election has elected many candidates (almost entirely Democratic) that are trailblazers for their communities. To name a few, Alexandria Ocasio-Cortez (D- NY) became the youngest woman elected to Congress. Sharice Davids (D- KS), the first Native American woman in Congress, and Veronica Escobar (D), the first Latina Congresswoman to be elected from Texas. Now that Democrats hold the majority in the House of Representatives this means they’d be able to stop Trump’s policies, and it’s speculated they’re planning on thoroughly investigating Trump’s taxes. This election was pivotal for the rest of this presidential term and beyond, and regardless of political affiliations, this was a record-shattering election in terms of voter turnout as well.